Pooh bear is a bear with very little brain. Well that's how Christopher Robin describes his teddy bear friend anyway. 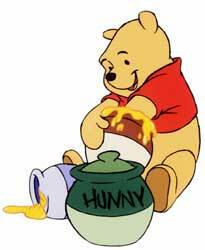 To be Winnie the Pooh will always be the bear with a very big heart and a rather over liking for honey. 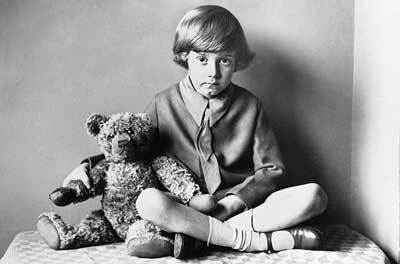 A.A. Milne was a writer who began his literally career at the beginning of the twentieth century. Writing for magazines at first and then later plays, he saw himself as a serious playwright and never as a children's author. However after writing a book of poems for children called "When We Were Very Young" in 1924 which featured a bear with rather similar characteristics to the now famous Pooh bear, he soon found that his talents lay in children's writing. 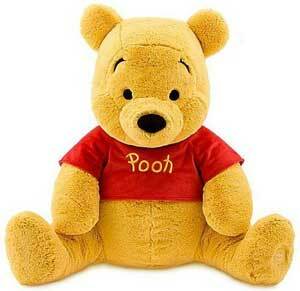 Winnie the Pooh was in fact a teddy bear which had been given to Milne's son, Christopher Robin in 1921. 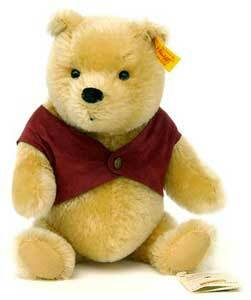 A J.K Farnell bear, he was originally called Edward bear but as Christopher got older he decided to choose his own name for his prized teddy. The name Winnie the Pooh comes from Christopher's favourite real bear at London zoo, a Canadian brown bear called Winnie and a swan he fed regularly in the country which he had named Pooh. There is much mystery about the origin of the stories and many conflicting arguments. Were they written to amuse Christopher Robin or were they written with adults in mind, appealing to the child within. In any case the stories have endured the passing of the years and are still loved as much as they ever were by old and young alike. The original books were beautifully illustrated by Ernest H. Shepard, a well respected illustrator who had already drawn the characters for another famous work, Wind n the Willows. 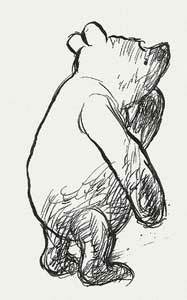 The drawings were based on Christopher Robin's real toys, a donkey, a piglet and a tiger to mention a few. All who know are characters loved in their own right. Pooh bear however was not drawn from Christopher Robins own bear but instead from Shepard's own sons bear, called growler who was a Steiff bear. Winnie's fame had spread far and wide and Walt Disney's own daughters were big fans of the bear stories. This is probably what prompted Disney to buy the right to make their own adaptations of the books. Originally Disney created featurettes taken from the books stories with the first released in 1966 called "Winnie the Pooh and the Honey Tree". This was followed in the following years with four more. It wasn't until 1977 that the full length feature film "The Many Adventures of Winnie the Pooh" was released. The characters were re drawn to appeal more to children for the film, making them a little more cartoon like. However I think Pooh's lovable character remained true. There have been more resent films released based loosely on the other characters of Milne books. There have also been three Winnie the Pooh films made in Russia. These films were based more closely on the original text from the books, unlike Disney's films. 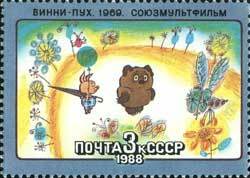 The Russian Winnie the Pooh (or as they know him as Vinni Pukh) appears quite differently from both the original Shepard drawings and the Disney character, instead Winnie is a little fat brown bear. 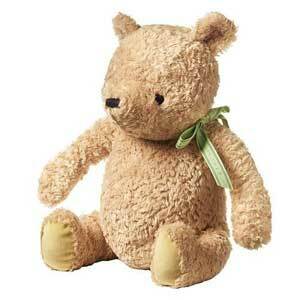 There are two main designs of soft toy Winnie's. They are either based on the original drawings from the book or based on the Disney films. My personal favourites are the classic Winnie the Pooh bears as they tend to look a little more vulnerable and cute to e. But the Disney versions are fun too. 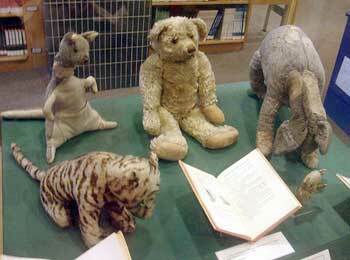 Here are two examples of teddy bear Winnie's, as you can see they are nothing like the real bear seated next to Christopher Robin above.